Medicinal plants have been used for thousands of years to flavor and conserve food, to treat health disorders and to prevent diseases including epidemics. They can provide biologically active molecules and lead structures for development of modified derivatives with enhanced activity or reduced activity. The isolation and identification of active principles and elucidation of the mechanism of action of a drug is of paramount importance. One such compound is chlorophyllin, a water soluble analogue of the ubiquitous green pigment chlorophyll. It acts as an effective inhibitor of aflatoxin hepatocarcinogenesis in animal models by blocking carcinogen bioavailability. Further anti-cancer effects of chlorophyllin including antioxidant activity, inhibition of enzymatic activity that converts inert procarcinogens into active carcinogens, stimulation of enzymatic activity that promotes the elimination of toxic substances from the body and antitumor activity have likewise been evidenced by controlled studies. Phytotherapy of snails by photodynamic chlorophyllin is a new approach to control the epidemic fasciolosis. Photosensitive chlorophyllin is degraded very fast without the formation of toxic byproducts, therefore, it is environmentally sound and economically safe also. 1. Davidson-Hunt I. Ecological ethno botany: stumbling toward new practices and paradigms. MASA J. 2000; 16:1-13. 2. Iqbal M, Bibi Y, Raja NI, Ejaz M, Hussain M, Yasmeen F, et al. Review on therapeutic and pharmaceutically important medicinal plant Asparagus officinalis L. J Plant Biochem Physiol. 2017; 5: 180. 3. Pathare YS, Wagh VD. Herbal medicines and nutritional supplements used in the treatment of glaucoma: a review. Res J Pharm Biol Chem Sci. 2012; 3(1): 331. 4. Singh R. Medicinal plants: A review. J Plant Sci. 2015; 3(11): 50-55. 5. Dashwood R, Negishi T, Hayatsu H, Breinholt V, Hendricks J, Bailey G. Chemopreventive properties of chlorophylls towards aflatoxin B1: a review of the antimutagenicity and anticarcinogenicity data in rainbow trout. Mutat Res. 1998; 399(2): 245-253. 6. Kumar SS, Devasagayam TP, Bhushan B, Verma NC. Scavenging of ROS by chl: an ESR study. Free Radic Res. 2001; 35(5): 563-574. 7. Patar AK, Bhan S, Syiem D. Effect of chl, an semi-synthetic chlorophyll molecule on hyperglycemia and hyperlipidemia in STZ-induced diabetic mice. Int J Pharm Pharm Sci. 2016; 8(8): 293-296. 8. Castro DJ, Lohr CV, Fischer KA, Waters KM, Webb-Robertson BJ, Dashwood RH, et al. Identifying efficacious approaches to chemoprevention with chlorophyllin purified chlorophylls and freeze-dried spinach in a mouse model of transplacental carcinogenesis. Carcinogenesis. 2009; 30(2): 315-320. 9. Scheer H. In: Chlorophylls and bacteriochlorophylls. Grimm B, Porra R, Rudigger W, Scheer H, eds. Springer, Dordrecht. 2006: 1. 10. Hsu CY, Yeh TH, Huang MY, Hu SP, Chao PY, Yang CM. Organ-specific distribution of chlorophyll related compounds from dietary spinach in rabbits. Indian J Biochem Biophys. 2014; 51: 388-395. 11. Wetzel RG. Limnology: lake and river ecosystems (3rd edn.). San Diego, CA: Academic Press. 2001. 12. Niedzwiedzki DM, Blankenship RE. Singlet and triplet excited state properties of natural chlorophylls and bacteriochlorophylls. Photosynth Res. 2010; 106(3): 227-238. 13. Zhang J, Han C, Liu Z. Absorption spectrum estimating rice chlorophyll concentration: Preliminary investigations. J Plant Breed Crop Sci. 2009; 1(5): 223-229. 14. Glimn-Lacy J, Kaufman PB. Introduction to plants, major groups, flowering plant families. 2nd edn., Springer, USA, 2006: 4. 15. Schelbert S, Aubry S, Burla B, Agne B, Kessler F, Krupinska K, et al. Pheophytin pheophorbide hydrolase (pheophytinase) is involved in chlorophyll breakdown during leaf senescence in Arabidopsis. Plant Cell. 2009; 21(3): 767-785. 16. Sarkar D, Sharma A, Talukder G. Chlorophyll and chlorophyllin as modifiers of genotoxic effects. Mutat Res. 1994; 318: 239-247. 17. Sarkar D, Sharma A, Talukder G. Comparison of the effects of crude extract of spinach-beet leaves and equivalent amounts of chlorophyll and chlorophyllin in modifying the clastogenic activity of chromium (VI) oxide in mice in vivo. Phytother Res. 1995; 9: 199-202. 18. Tathyana T, Ursula M, Maria LM. Copper-chlorophyllin: A food colorant with bioactive properties? Food Res Int. 2012; 46: 451-459. 19. Wohllebe S, Richter R, Richter P, Hader DP. Photodynamic control of human pathogenic parasites in aquatic ecosystems using chlorophyllin and pheophorbid as photodynamic substances. Parasitol Res. 2009; 104(3): 593-600. 20. Singh DJ, Singh DK. Toxicity of chlorophyllin in different wavelengths of visible light against Fasciola gigantica larva. J Photochem Photobiol B. 2015; 144: 57-60. 21. Singh K, Singh VK. Anti-reproductive activity of chlorophyllin on fresh water snail Lymnaea acuminata. Res J Parasitol. 2015; 10(4): 160-166. 22. Hader DP, Schmidl J, Hilbig R, Oberle M, Wedekind H, Richter P. Fighting fish parasites with photodynamically active chlorophyllin. Parasitol Res. 2016; 115: 2277-2283. 23. Wohllebe S, Ulbrich C, Grimm D, Pietsch J, Erzinger G, Richter R, et al. Photodynamic treatment of Chaoborus crystallinus larvae with chlorophyllin induces necrosis and apoptosis. Photochem Photobiol. 2011; 87: 1113-1122. 24. Dougherty TJ, Kaufman JE, Goldfarb A, Weishaupt KR, Boyle D, Mittleman A. Photoradiation therapy for the treatment of malignant tumors. Cancer Res. 1978; 38: 2628-2635. 25. Dougherty TJ, Gomer CJ, Henderson BW, Jori G, Kessel D, Korbelik M, et al. Photodynamic therapy. J Natl Cancer Inst. 1998; 90(12): 889-905. 26. Luksiene Z. Photodynamic therapy: mechanism of action and ways to improve the efficiency of treatment. Medicina. 2003; 39(12): 1137-1150. 27. Henderson BW, Dougherty TJ. How does photodynamic therapy work? Photochem Photobiol. 1992; 55: 145-157. 28. Richter PR, Strauch SM, Azizullah A, Hader DP. Chlorophyllin as a possible measure against vectors of human parasites and fish parasites. Front Environ Sci. 2014; 2: 1-6. 29. DeRosa MC, Crutchley RJ. Photosensitized singlet oxygen and its applications. Coord Chem Rev. 2002; 233-234: 351-371. 30. Wilson BC, Patterson MS. The physics of photodynamic therapy. Phys Med Biol. 1986; 31: 327-360. 31. Spikes JD. Light in disease and therapy. Plenum Press, New York. 1979; 5: 251-260. 32. Kohen R, Nyska A. Oxidation of biological system: oxidative stress phenomena, antioxidants, redox reactions, and methods for their quantification. Toxicol Pathol. 2002; 30: 620-650. 33. Brandis AS, Salomon Y, Scherz A. Chlorophyll sensitizers in photodynamic therapy In: Chlorophylls and bacteriochlorophylls. Adv Photosynth Respir. 2006, 25: 461-483. 34. Erzinger GS, Wohllebe S, Vollrath F, Souza SC, Richter P, Lebert M, et al. Optimizing conditions for the use of chlorophyll derivatives for photodynamic control of parasites in aquatic ecosystems. Parasitol Res. 2011; 109: 781-786. 35. Kamat JP, Boloor KK, Devasagayam TP. Chlorophyllin as an effective antioxidant against membrane damage in vitro and ex vivo. Biochim Biophys Acta. 2000; 1487(2-3): 113-127. 36. Park KK, Park JH, Jung YJ, Chung WY. Inhibitory effects of chlorophyllin, hemin and tetrakis (4-benzoic acid) porphyrin on oxidative DNA damage and mouse skin inflammation induced by 12-O-tetradecanoylphorbol-13-acetate as a possible anti-tumor promoting mechanism. Mutat Res. 2003; 542(1-2): 89-97. 37. Kumar SS, Shankar B, Sainis KB. Effect of chlorophyllin against oxidative stress in splenic lymphocytes in vitro and in vivo. Biochim Biophys Acta, 2004; 1672(2):100-111. 38. Hsu CY, Chao PY, Hu SP, Yang CM. The antioxidant and free radical scavenging activities of chlorophylls and pheophytins. Food Nutr Sci. 2013; 4: 1-8. 39. Rajalakshmi K, Banu N. Antimicrobial activity of natural chlorophyllin from endangered medicinal plant Mimosa pudica L. Int J Pharm Pharm Sci. 2016; 8(4): 387-389. 40. Patar A, Bhan S, Syiem D, Sharma A. Ameliorative effect of chlorophyllin on oxidative stress in experimental model of diabetes. Int J Phytomed. 2017; 8(4): 506-513. 41. Keshava C, Divi RL, Einem TL, Richardson DL, Leonard SL, Keshava N, et al. Chlorophyllin significantly reduces benzo[a]pyrene-DNA adduct formation and alters cytochrome P450 1A1 and 1B1 expression and EROD activity in normal human mammary epithelial cells. Environ Mol Mutagen. 2009; 50(2): 134-144. 42. Osowski A, Pietrzak M, Wieczorek Z, Wieczorek J. Natural compounds in the human diet and their ability to bind mutagens prevents DNA-mutagen intercalation. J Toxicol Environ Health, part A. 2010; 73 (17-18): 1141-1149. 43. Yun CH, Jeong HG, Jhoun JW, Guengerich FP. Non-specific inhibition of cytochrome P450 activities by chlorophyllin in human and rat liver microsomes. Carcinogenesis. 1995; 16(6): 1437-1440. 44. Dingley KH, Ubick EA, Chiarappa-Zucca ML, Nowell S, Abel S, Ebeler SE, et al. Effect of dietary constituents with chemopreventive potential on adduct formation of a low dose of the heterocyclic amines PhIP and IQ and phase II hepatic enzymes. Nutr Cancer. 2003; 46(2): 212-221. 45. Vankova K, Markova I, Jasprova J, Dvorak A, Subhanova I, Zelenka J, et al. Chlorophyll-mediated changes in the redox status of Pancreatic cancer cells are associated with its anticancer effects. Oxid Med Cell Longev. 2018: ID 4069167. 46. Chimploy K, Diaz GD, Li Q, Carter O, Dashwood WM, Mathews CK, et al. E2F4 and ribonucleotide reductase mediate S-phase arrest in colon cancer cells treated with chlorophyllin. Int J Cancer. 2009; 125(9): 2086-2094. 47. Song BH, Lee DH, Kim BC, Ku SH, Park EJ, Kwon IH, et al. Photodynamic therapy using chlorophyll-a in the treatment of acne vulgaris: A randomized, single-blind, split face study. J Am Acad Dermatol. 2014; 71(4): 764-771. 48. McCook JP, Stephens TJ, Jiang LI, Law RM, Gotz V. Ability of sodium copper chlorophyllin complex to repair photoaged skin by stimulation of biomarkers in human extracellular matrix. Clin Cosmet Investig Dermatol. 2016; 9:167-174. 49. Salomao GH, Fernandes AU, Baptista MS, Tardivo JP, Christofolini DM, Correa JA. Chlorophyllin-M: A new substance for photodynamic therapy in the retina and choroid. Lasers Surg Med. 2015; 47(5): 421-425. 50. Carpenter EB. Clinical experiences with chlorophyll preparations. Am J Surg. 1949; 77: 167-171. 51. Chernomorsky SA, Segelman AB. 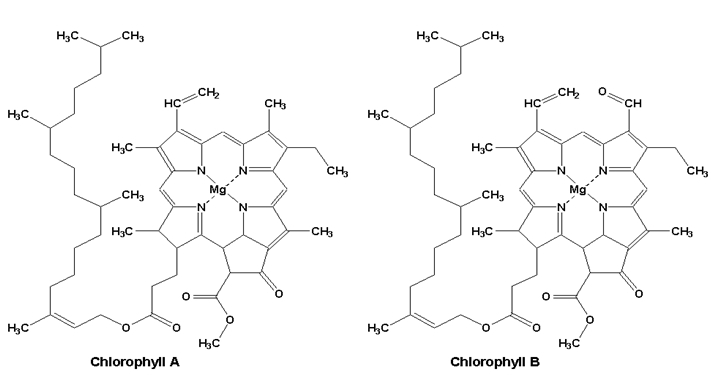 Biological activities of chlorophyll derivatives. N J Med. 1988; 85(8): 669-673. 52. Weir D, Farley KL. Relative delivery efficiency and convenience of spray and ointment formulations of papain/urea/chlorophyllin enzymatic wound therapies. J Wound Ostomy Continence Nurs. 2006; 33(5): 482-490. 53. Yamazaki H, Fujieda M, Togashi M, Saito T, Preti G, Cashman JR. Effects of the dietary supplements, activated charcoal and copper chlorophyllin, on urinary excretion of trimethylamine in Japanese trimethylaminuria patients. Life Sci. 2004; 74(22): 2739-2747. 54. Dashwood R, Yamane S, Larsen R. Study of the forces of stabilizing complexes between chlorophylls and heterocyclic amine mutagens. Environ Mol Mutagenesis. 1996; 27(3): 211-218. 55. Breinholt V, Schimerlik M, Dashwood R, Bailey G. Mechanisms of chlorophyllin anticarcinogenesis against aflatoxin B1: complex formation with the carcinogen. Chem Res Toxicol. 1995; 8(4): 506-514. 56. Yin MC, Cheng WS. Inhibition of Aspergillus niger and Aspergillus flavus by some herbs and spices. J Food Prot. 1998; 61(1): 123-125. 57. Egner PA, Wang JB, Zhu YR, Zhang BC, Wu Y, Zhang QN, et al. Chlorophyllin intervention reduces aflatoxin-DNA adducts in individuals at high risk for liver cancer. Proc Natl Acad Sci USA. 2001; 98(25): 14601-14606. 58. Egner PA, Munoz A, Kensler TW. Chemoprevention with chlorophyllin in individuals exposed to dietary aflatoxin. Mutat Res. 2003; 523-524: 209-216. 59. Abdel-Kader MH, Al-Sherbini AS, El-Tayeb TA. 8-Sunlight and photosensitizers for insect control. The 9th International Conference on “Environmental Protection is a must”, Alexandria: Alexandria University. May 4-6, 1999. 60. El-Tayeb TA. Laser scanning microscopy for determination of the efficiency of hematoporphyrin in control of Culex pipiens larvae and the snail vector of Fasciola gigantica. (Dissertation) Cairo: National Institute of Laser Enhanced Sciences (NILES). Cairo University. 2003: 1-216. 61. Ben Amor T, Jori G. Sunlight-activated insecticides: historical background and mechanisms of phototoxic activity. Insect Biochem Mol Biol. 2000; 30: 915-925. 62. Dondji B, Duchon S, Diabate A, Herve JP, Corbel V, Hougard JM, et al. Assessment of laboratory and field assays of sunlight-induced killing of mosquito larvae by photosensitizers. J Med Entomol. 2005; 42: 652-656. 63. Wohllebe S, Richter P, Hader DP. Chlorophyllin for the control of Ichthyophthirius multifiliis (Fouquet). Parasitol Res. 2012; 111: 729-733. 64. Abdel-Kader MH, El-Tayeb TA. Field implementation using chlorophyll derivatives with sunlight for malaria, filaria and dengue fever vectors control in infested Africa swamps. Malar J. 2012; 11(Suppl 1): 42. 65. Erzinger GS, Hader DP. Bioinsecticide nontoxic biodegradable from UNIVILLE. National Institute of Intellectual Property - INPI. Brasil, No. 020090120220. 20; 2009. 66. Erzinger GS, Hader DP, Richter P, Carolina S, Wohllebe S. New perspectives for the control of mosquito larvae using chlorophyll derivates as photosensitizers. Environment and Health Conference, Basel, Switzerland. 2013; Abstract Number: 2972, ID: O-1-12-01. 67. Erzinger GS, Souza SC, Pinto LH, Hoppe R, Del-Ciampo LF, Souza O, et al. Assessment of the impact of chlorophyll derivatives to control parasites in aquatic ecosystems. Ecotoxicology. 2015; 24(4): 949-958. 68. Kumar N, Singh VK. Bait formulations of chlorophyllin against infected/ uninfected Lymnaea acuminata in red and sunlight. Int J Zool Res. 2015; 11(5): 207-214. 69. Chaturvedi D, Singh VK. Toxicity of chlorophyllin against Lymnaea acuminata at different wavelengths of visible light. Trop Life Sci Res. 2016; 27(2): 25-36. 70. Singh DJ, Singh DK. Phytotherapy of chlorophyllin exposed Lymnaea acuminata: A new biotechnological tool for fasciolosis control. Parasite Epidemiol Control. 2016; 1: 20-25. 71. Kumar N, Singh DK, Singh VK. Chlorophyllin bait formulation and exposure to different spectrum of visible light on the reproduction of infected/uninfected snail Lymnaea acuminata. Scientifica. 2016; 2016: ID 9795178. 72. Chaturvedi D, Singh DK, Singh VK. Photodynamic toxicity of chlorophyllin against Fasciola gigantica carrier snail Indoplanorbis exustus in visible spectral band. Phcog J. 2017; 9(6): 729-736. 73. Singh K, Singh DK, Singh VK. Chlorophyllin treatment against the snail Lymnaea acuminata a new tool in fasciolosis control. Phcog J. 2017; 9(5): 594-598. 74. Singh K, Singh VK. Effect of photodynamic product chlorophyllin on certain biochemical parameter in Lymnaea acuminata: Causative agent of fasciolosis. Am J Biochem Mol Biol. 2018; 8(1): 10-15. 75. Elhadad HA, El-Habet BA, Azab RM, Abu-El-Einin HM, Lotfy WM, Atef HA. Effect of chlorophyllin on Biomphalaria alexandrina snails and Schistosoma mansoni larvae. Int J Curr Microbiol Appl Sci. 2018; 7(3): 3725-3736.